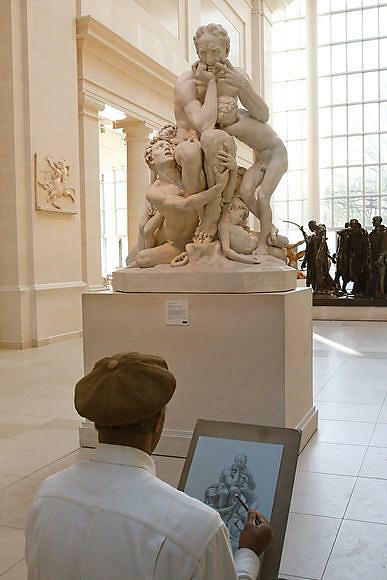 Inside Fifth Avenue's Metropolitan Museum of Art sits a man drawing the glorious marble statues dating back to Greek and Roman times. He comes there frequently. The statues and light and beauty are there always..